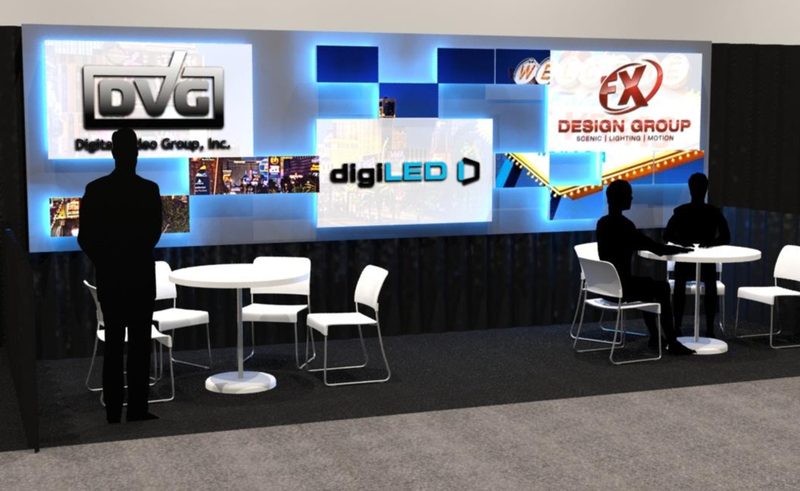 FX Design Group and Digital Video Group will be joining forces at this year’s National Association of Broadcasters annual trade show and conference at the Las Vegas Convention Center, April 9th – 12th. 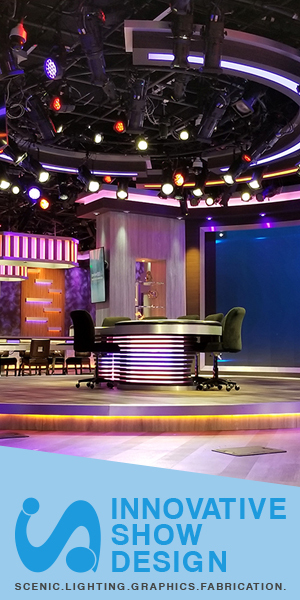 FX and DVG have been working together for a number of years to bring the best in studio design and systems integration and technology to broadcast studios, including the past 2 NewscastStudio Sets of the Year for WRIC in 2017 and WSAW in 2016. They will be joined this year by digiLED and tvONE, a leading designer and manufacturer of cutting-edge video and multimedia processing equipment, (Booth #N927) and will be showcasing some of the latest trends in “Story Telling Technology” for local news affiliates. The prime display will be made up of 39 digiLED 2.6mm digiTHIN HD LED panels. digiTHIN HD is a direct view indoor LED display in pixel pitches ranging from 1.3mm-3.9mm. Its thin and lightweight design allows digiTHIN HD cabinets to be directly mounted to a wall for fast, reliable, and cost-effective installs. A common platform for all digiTHIN models will future proof users and, with 4K video quickly upon us, bridges a cost-effective upgrade path to higher video resolutions. Designed as a high brightness projector alternative, digiTHIN HD opens new doors to greater creative functionality and simple fixed installations in indoor public areas such as television studios, retail environments, corporate settings, venues, command/control, and the education market. The digiTHIN HD LED screen will be controlled by tvONE’s CORIOmaster mini. A 1RU 4K videowall processor that offers anything-in, anything-out capability and perfect pixel mapping of the source content to the LED display wall. The Design of the LED array will be a uniquely designed deconstructed view with 3 – 3 x 3 array panels built into it. One of the unique features of the digiLED array wall is that the panels are native 16:9 allowing for a more uniform graphical interface with current assets. The entire array will be backlit by RGBA color changing LEDs allowing it to morph throughout the presentation.